Hypersoft has developed Operational and Organizational Intelligence for managers and executives to evaluate communication in any large diversified business landscape. The software allows to understand relationships and identify communities and members across geographies, divisions, and internal and external organizations all the way down to individual members. The ability to map these communities and groups enables valuable insight into the roles that people and their positions play within an organization. A unique aspect of this vision is that it goes beyond the many formally defined roles within an organization but also that there are real roles and relationships that are not as immediately apparent. The ability to identify these functions, and to understand who is important and influential, is the basis of this innovative technology. By automatically collecting and analyzing shared communications and work processes, operational intelligence has the potential to drive a radical transformation in research, innovation, job placement and marketing. This important information about person-to-person interactions within the workplace is provided by collecting data on communications, then analyzing and publishing the analysis - all in real-time. The source data used to gather all of the relevant information includes all interaction and communication channels. 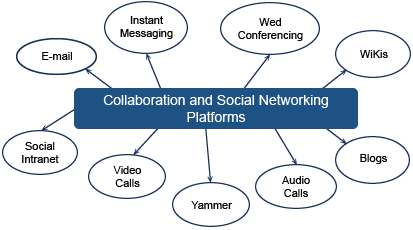 This is a complete look into any and all web-based collaboration, all varieties of instant messaging, telephone, e-mail, mobile messaging, et cetera. Operational and Organizational Intelligence is in no way technologically biased and will work with any tools that are implemented within your business. You have the choice of viewing the information in its entirety, or structured by specific communication mechanisms. With Hypersoft, your business ecosystem can be looked at in simple reports that represent both operational and structural analysis. Through this service and the knowledge it delivers, you will be better able to optimize the position of employees and groups to optimize communication, and make more informed decisions about promotions and regulations. You can even see how communities have evolved over different time periods, who are the key players and which have shown the most activity in the short and long-term. By assisting your company to identify real-life work and communication patterns, Hypersoft Operational and Organizational Intelligence software helps to measure two very important aspects of your working culture; what are the communities and what are people’s roles in the communities. This helps you to identify and arrange business units and their members based on member collaboration characteristics, correlated against traditional structures such as users, departments, offices, countries or those specific to your organization.